Every month has birth flowers which are a lot easier to give to that special someone! Each month has a couple flowers to choose from. So if you want to give flowers to someone, but can’t decide which ones, consult the list below and be prepared to be the recipient’s new favorite person! January‘s birth flower, the Carnation, comes in several different colors to convey different meanings, much like roses. A pink carnation means affection, while a red carnation means ‘I love you.’ White carnations mean pure love, striped carnations means regret that a love is not shared, and yellow means rejection or disappointment. 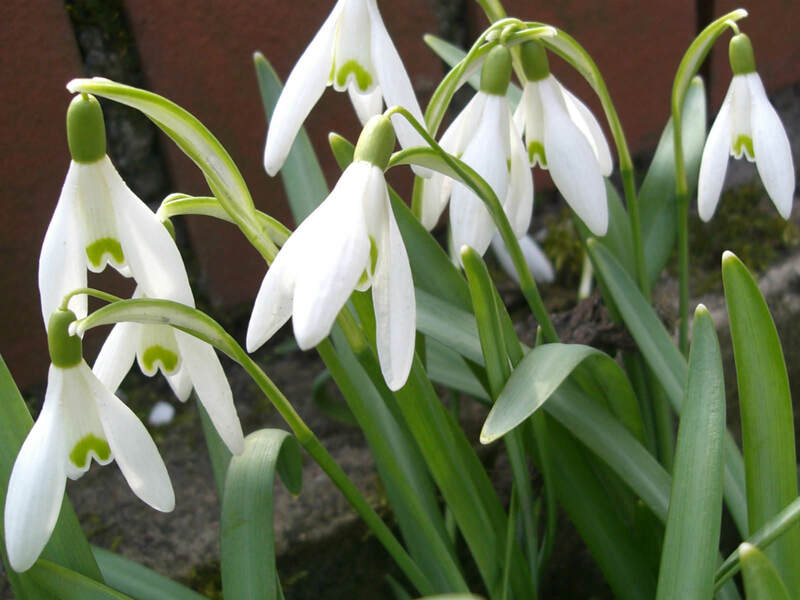 The other January flower is the Snowdrop, which used to be considered bad luck due to the fact that it would always seem to appear to grow in graveyards. Nowadays, it signifies hope and beauty. February‘s birth flower is the Violet, which signifies watchfulness, loyalty, and faithfulness. Give a violet to someone to let them know you’ll always be there for them. The other February flower is the Primrose, which lets someone know you can’t live without them. March‘s birth flower is the Daffodil, which means unequaled love; the sun is always shining whenever your significant other is around. The other March flower is the Jonquil, which signifies desire for affection returned. It also is used to convey sympathy. April‘s birth flower is the Daisy which conveys innocence, loyal love, and purity. It is also a flower given between friends to keep a secret; the daisy means “I’ll never tell.” The other April flower is the Sweet Pea. Sweet peas signify blissful pleasure, but are also used to say good-bye. 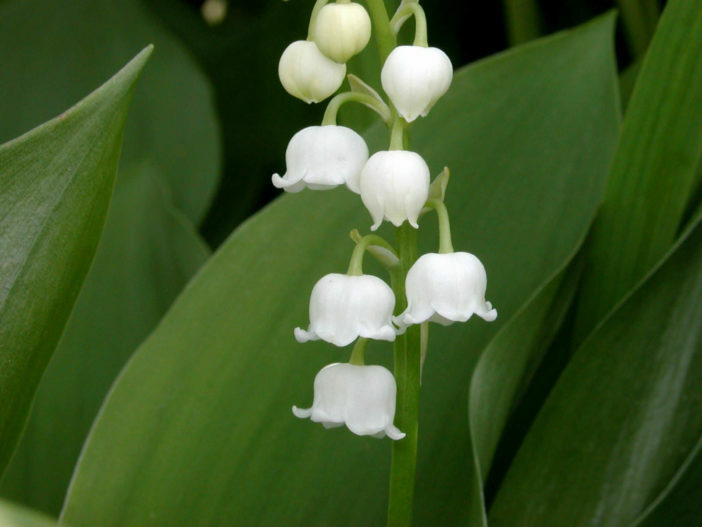 May‘s birth flower is the Lily of the Valley, which signifies sweetness, humility, and a return to happiness. If you want to show your loved one that your life is complete with them, give them a few lilies of the valley. The other May flower is the Hawthorn Plant, which represents hope and supreme happiness. Hawthorne signifies that you want only the best for the recipient. June‘s birth flower is the Rose, which has more meanings than one can count! A pink rose means perfect happiness, while a red rose means “I love you.” A white rose signifies innocence and purity, while a yellow rose conveys jealousy or a decrease in love. A bouquet of roses means sincere gratitude, whereas a single rose amplifies the meaning of the color (a single red rose means “I REALLY love you”). The other June flower is Honeysuckle, which is a strong symbol for the everlasting bonds of love. July‘s birth flower is Larkspur. Each color variation of larkspur has a different meaning: pink means fickleness, white conveys a happy nature, and purple normally represents a first love. Generally, larkspur indicates strong bonds of love. The other July flower is the Water Lily, which signifies purity and majesty. August‘s birth flower is Gladiolus, or ‘Sword Lily’. Gladiolus represents remembrance, calm, integrity, and infatuation. With gladiolus, the recipient’s heart is being “pierced with love.” The other August flower is the Poppy. 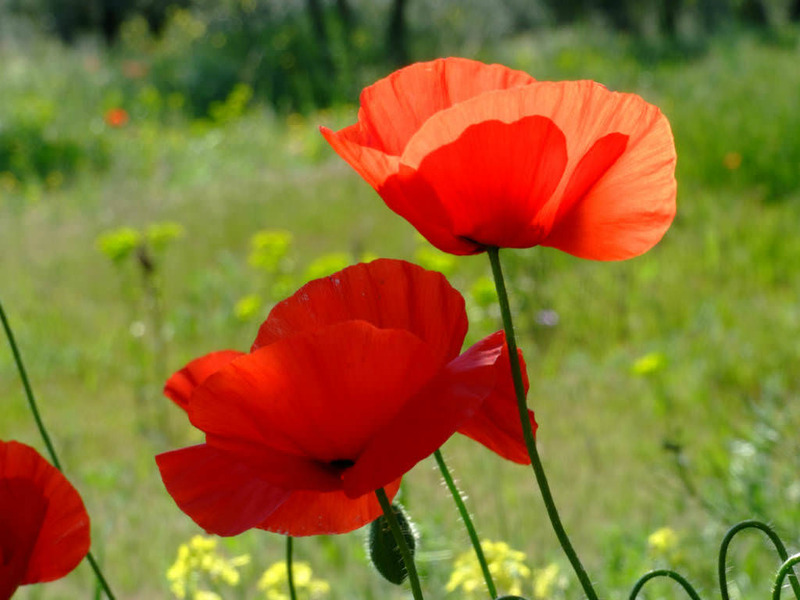 A red poppy signifies pleasure, a white poppy is given for consolation, and a yellow poppy wishes wealth and success. September‘s birth flower is the Aster. Asters are mainly symbols of powerful love. The other September flower is the Morning Glory. Morning glories are simple symbols of affection. October‘s birth flower is the pumpkin bloom. Just kidding—it’s actually the Marigold. Marigolds are often given as a sign of warm or fierce, undying love, or as a way of saying that you’re content with being with the recipient. The other October flower is Cosmo, a symbol of order, peace, and serenity. November‘s birth flower is the Chrysanthemum. A red chrysanthemum means “I love you;” a white chrysanthemum means innocence, purity, and pure love; a yellow chrysanthemum means slighted love. December‘s birth flower is the Narcissus which embodies the idea that you want your beloved to stay just the way they are. The other December flower is Holly, which symbolizes your wish for domestic happiness.